German based interVIB GmbH known as developer and supplier for vibratory conveying and screening equipment has delivered numerous Linear Vibratory Screens type VSL with special developed 3D screening cassettes to various steel factories and scrap yards Europe-wide. The task is to improve scrap metal quality, either provided from shears or shredders, by taking out fines, magnetic dust and non-ferrous material. Capacities from 40 t/h up to 300 t/h can be achieved depending on the screen dimensions. The main focus is placed onto the special designed screening surface which is built from extra strong manganese steel. It is built as cassettes which can be easily exchanged and have a life span of over 18 months without any appreciable wear. Mainly 2-3 cassettes are inserted with cascades in-between, revolving the scrap. This ensures, that the fines laying on top of hollow or large scale parts will also be separated. The robust designed main body of the screening machine and the position of the unbalanced motors ensure that also unexpected heavy parts or short term misuse cannot harm the equipment. The linear excitation is lined up with the conveying direction onto an extra strong cross beam. Another benefit is the easy to service design, keeping operating costs low. Quick and easy access is a main focus for the customer needs reducing the cost of ownership. 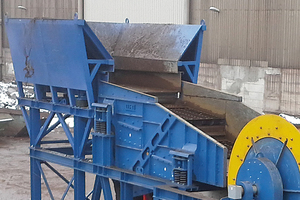 A complete standard set-up includes an interVIB vibratory feeder type TCV, which is charged by a crane with a grabber into a stationary hopper placed over the pan feeder. 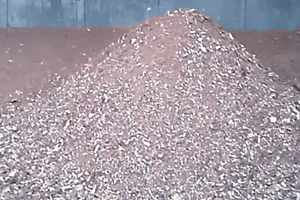 Hopper and feeder width results from the needed screening capacity and the grabber diameter in use. The vibratory feeder serves the vibratory screen constantly in a metering matter. 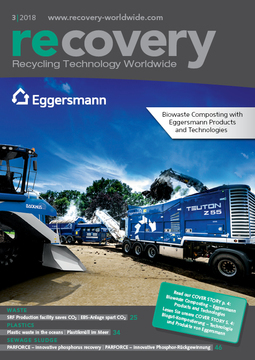 This ensures a constant material flow and layer thickness for the best screening result possible. Usually the discharge end of the screen is made from non-magnetic material and delivers to a magnetic drum. The geometry between both machines ensures that non-magnetic material falls down onto a crosswise installed interVIB vibratory trough conveyor type TCV taking out the non-ferrous material. 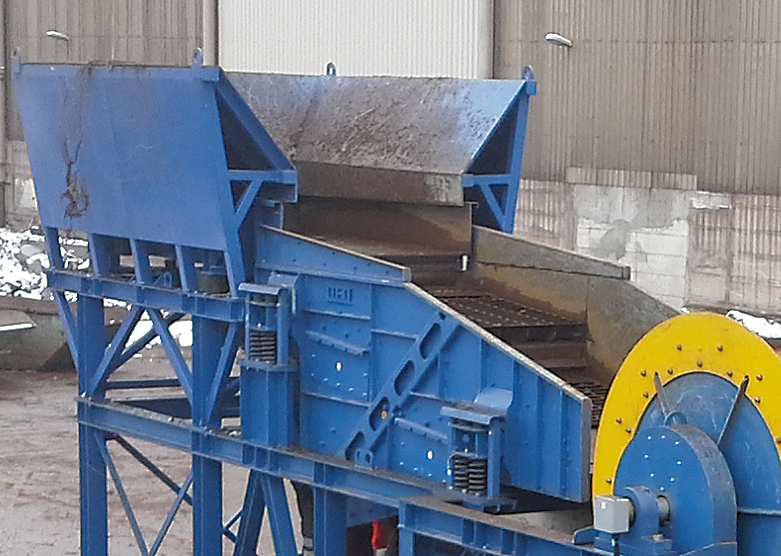 This design between the vibratory screen and the magnetic drum gives the opportunity, that even bigger concrete parts or other big dimensional non-ferrous parts can be taken out, which should yet not be part of the delivered scrap material, without any pinching between the single equipment. The collecting vibratory trough conveyor is designed robust to take these heavy impacts from these big chunks. The fines from the vibratory screen conveyor are also collected onto a vibratory trough conveyor type TCV being installed crosswise underneath and are transferred to a belt conveyor. 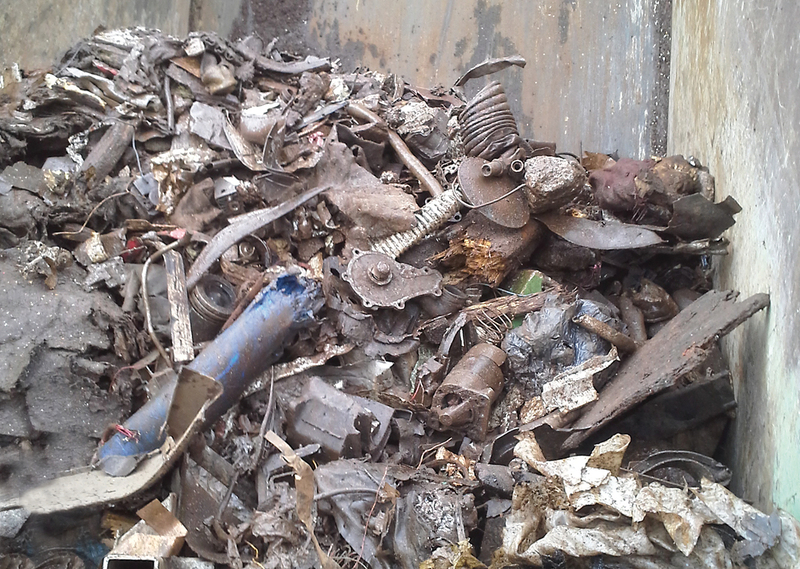 These fines can be re-treated further more by an over-belt magnet to re-collect smaller ferrous particles from the fines, if wanted. The complete key-turn set up is a collaboration by three European companies. 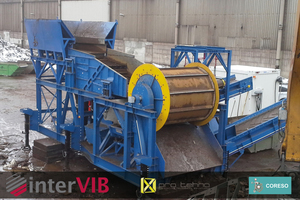 interVIB GmbH from Germany is building the vibratory equipment to the customer’s needs, Coreso s.a.r.l. 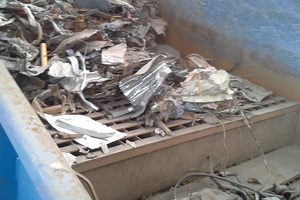 from France is the specialist on magnetic separation and scrap metal treatment and Pro Tehno d.o.o. from Slovenia does the general engineering, final assembly, electrics, controls and is also a scrap metal treatment specialist. Furthermore these partners have built a semi-mobile device owned by Coreso s.a.r.l. to hire out to various customers. On one hand for testing the quality of the purchased scrap metal on the other hand for testing the equipment before ordering a fixed set up. First, the customers were pretty surprised how much fines the vibratory screen from interVIB will separate and how much NE-material can be taken out in front of the magnetic drum. 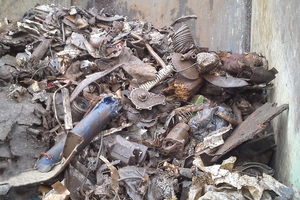 In some cases more than 10 % of the non-ferrous material and not usable fines were found. Such a set up can save up to 10 % of the costs in the production process and reduces the unwanted slag in the furnaces enormously, so it was told by some south European customers operating this equipment. In total it is to say, that this set up is proven in field under realistic operational conditions and can be modified to the customer’s specific needs at any time.